Motorola has re-entered into Asian (espeially Indian) market with its ultimate android phone called 'Moto G.' Moto has been introdued into two variants on price tag 12999 & 14999. The cheaper one has 8 GB data storage where the other one has 16 GB of capacity. People are liking both of them and 16GB version is the one you should go for as long as I recommend. 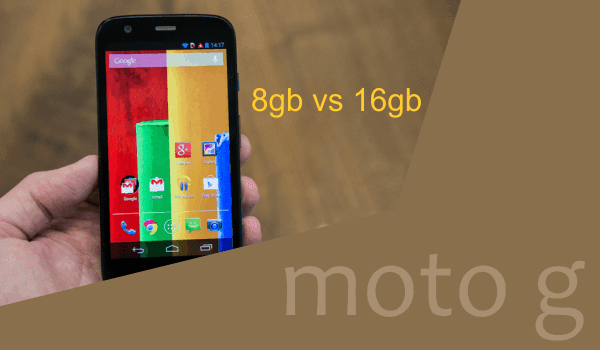 but the basic question the whole world is searching for is that "is there any other feature available into 16 GB version of moto g in compare to its 8 GB version?" we studied both the versions deeply and intensively and found out that there is no basic difference between the two apart from the data storage. You can buy it from Flipkart exclusively as they are offering great offers on launching.